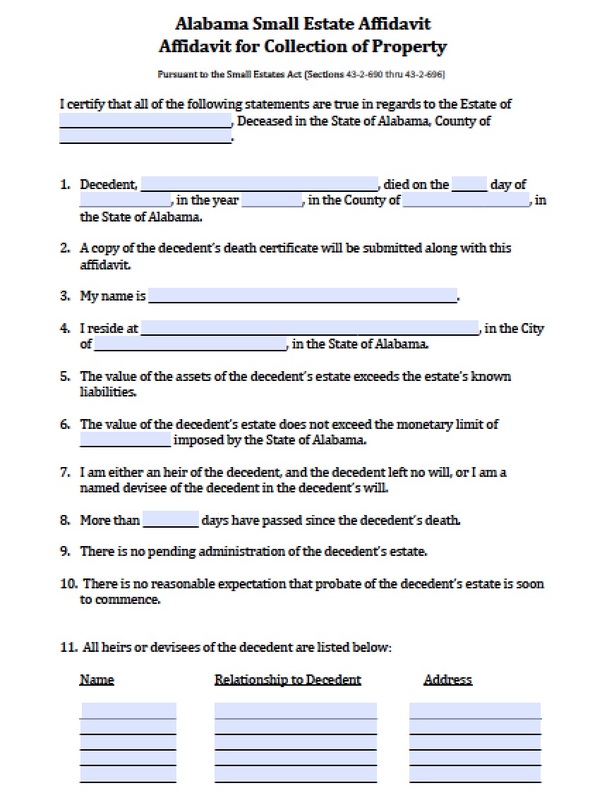 The Alabama small estate affidavit form is a document that can be used if a spouse or family member passes and there is less than twenty-five thousand dollars of total worth of assets in their estate and no will was made on the part of the decedent. Therefore this document may be used to notify the Probate Court (See List) that the estate falls under Statute 43-2-692 and that the surviving heir/spouse may bypass the probate process and have full rights to the decedent’s property. Section 8 – Enter how many days have passed since the decedent died. Signature – The affiant should sign in addition to a notary public witnessing the authorization. 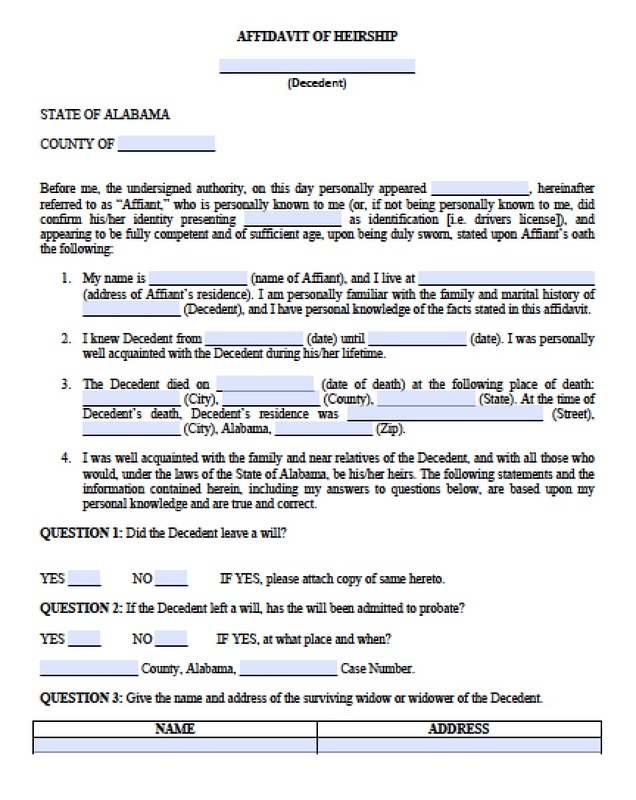 Also, the probate court may require that two (2) individuals that knew the decedent sign the last page of the form.